← Great day on the Intra Coastal! Also have extra of the things you use. You might use 2 shad tails one fishing trip but you might use 15 the next trip. I keep about a dozen of each of the plastic D.O.A. lures I use. You never know. Among important things is some type of ruler to be able to measure fish with if you intend to keep them. Also a law book. It is important to know the laws to keep you out of trouble. Different types of baits for different types of fish should be in the tackle box. Also if there are any laws such as not being able to use stainless hooks for reef fish make sure you have non stainless hooks if fishing in that area. Pliers are great to have but they are way easier to access if they are on your side or in your pocket rather than in your tackle box. Bait knives are great to have. They are so cheap that it is a great idea to have a couple. I have knocked one overboard before and lost it to the depths of the intra coastal and didn’t have a spare so now I keep 2 handy. It is a good idea to keep some night stuff in your tackle box because if the fishing is good in the evening time you may fish into night if your boat is equipped with lights. 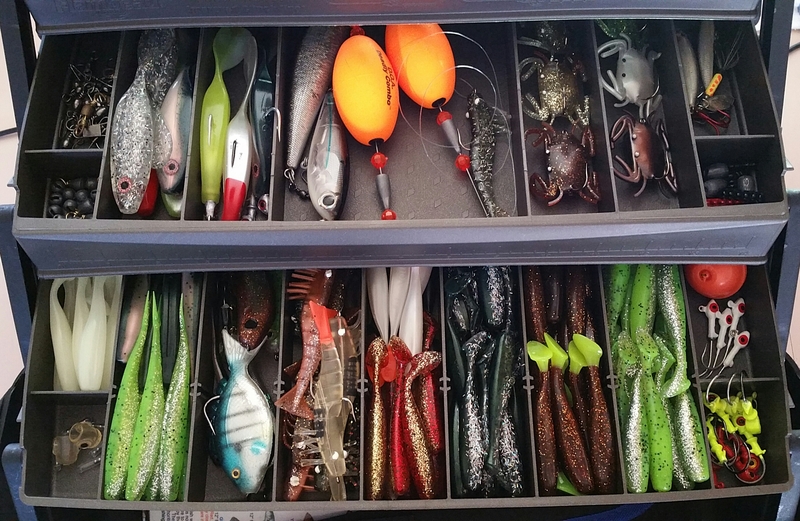 Your boat might be equipped but if your tackle box isn’t, you’re going in earlier then planned. 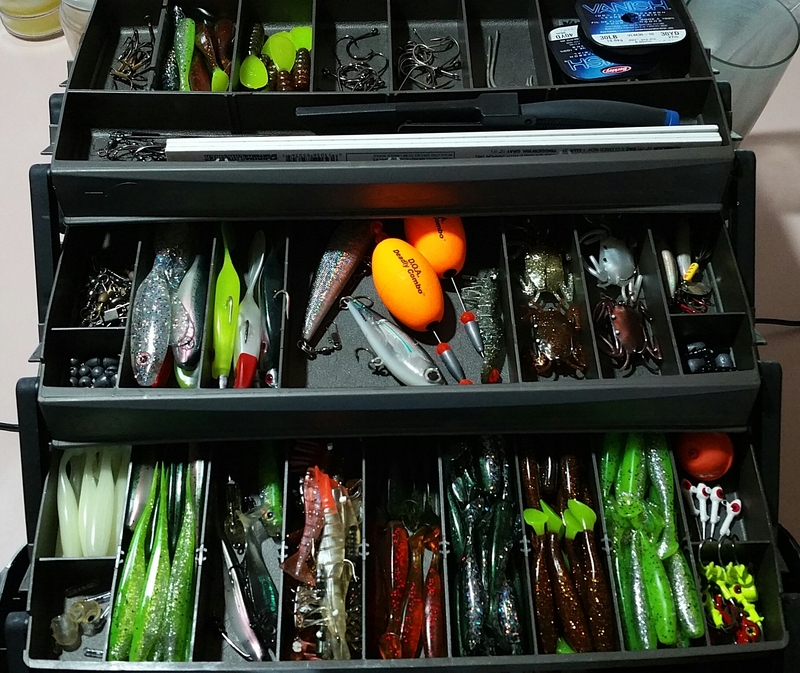 A lot of this is common sense but it may give you some ideas that you didn’t think about while loading up your tackle box to go fishing. Have fun and catch the big one. Don’t forget your fishing licence. Posted on July 17, 2015, in Reviews, Tools of the trade and tagged D.O.A. Lures, fishing lures, tackle box. Bookmark the permalink. 2 Comments. I also always like to bring bugspray, sunscreen and a rag. Extra fishing line wold be a good idea as well. otherwise your list seems complete. What kind of fishing business would you like to start? Thanks Patrick for reading my blog. I agree on the other items you mentioned. I did leave those important items out! lol. I want to eventually start an inshore saltwater guide business. I have lived in Florida my whole life and one of the best things about Florida is its fishing.